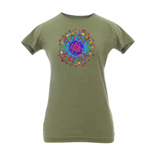 I had been looking for years for a pair of tye dye sweat for my son. I finally found them here!! Great quality and soooo viberant! Thank you! The price was extremely fair as well. I have had these peace frog tie-dye pants before and I loved them so much because they were so comfy! Ordering another pair since I gave my old ones to a friend !!! Bright & colorful! Pants are soft & comfortable. I love these pants! This is my second pair - I wore the first pair out. They are so comfortable and the colors are bright and uplifting. Keep on making these! These are definitely a comfortable pair a pants that are true to size. 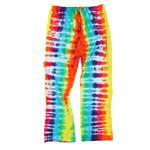 I definitely recommend these for people that love tie dyed. They are so colorful and cozy. 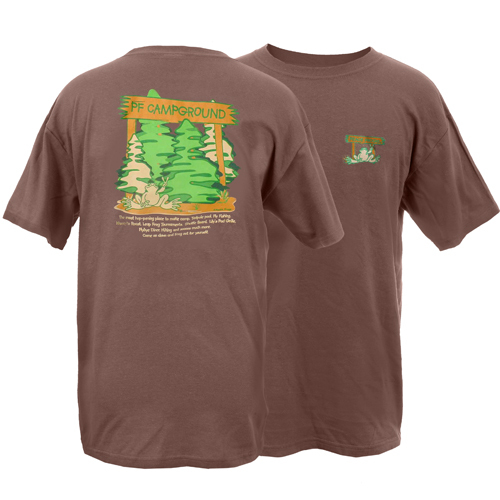 Definitely worth getting and adding to your wardrobe. Found these at a local Christmas Show last year and they are the best. Not to thick to wear around in the spring and fall and perfect for winter. So comfortable and LOVE the COLORS! 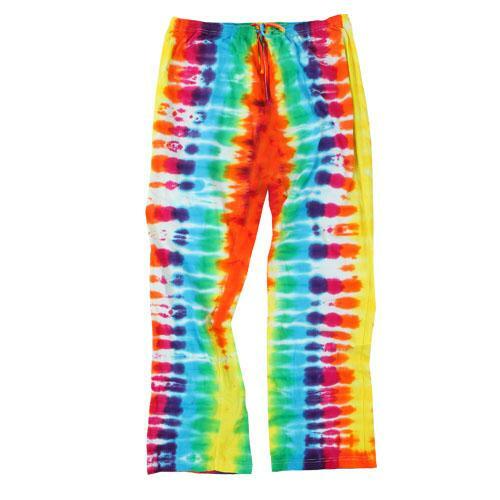 Rainbow Pants | By Dwayne B.
I own a lot of tie-dye. Today, I just received my first pair of tie-dye pants. They brightened my day. Peace Frogs delivered them quickly. Now, I'm stylish and relaxed. I found these at a Christmas show this year in Charlotte and just had to have them. 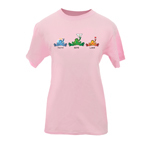 Soft, comfy and colorful. After wearing them, had to find the website just to see what else is available, looking forward to trying out more items! I bought a pair of these and they were great, comfy and long enough (which is usually a problem for me). Ended up getting another pair and also ordered a 3rd for a Christmas gift!! 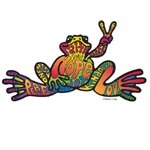 I love Peace Frogs!! These pants are amazing! A friend of mine got them a few years ago and they're still bright and comfy! Buying a pair myself now! I really like the crazy color and print of these pants and they're pretty comfy however, there are no pockets. Bummer. My main problem is that after washing twice the pants are coming apart at the seams both in front and back. Not made well. Very sad about this. 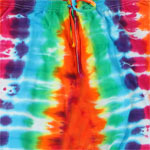 I LOVE THESE AWESOME TIE DYED PANTS! AND THEY MAKE A GREAT ACCENT TO MY TIE DYE CLOSET COLLECTION! These pants are extremely lightweight and comfortable. They run true to size and the colors are incredible! These pants turned out better than I expected. Very bright and well made. To top it off they feel great on. Greatest, most comfy sweatshirt. 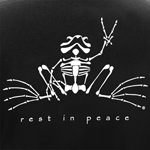 Love the peacefrog! These are awesome! True to size and so comfortable. My fiance will love these pants. Ordered hooded sweatshirt last year. These are the most comfortable lounge pants and they look AWESOME!!!! Every one of my family members has a pair. Going to buy a second pair so when I wear my first pair out I will not be without them. Thanks for making an awesome product!!! 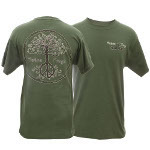 I love Peace Frogs!!!!! Bought the pants for my daughter. She loves them and wears them all the time! I love the pants, and am wearing them now. However, they do run a bit small, and I am glad I ordered a size larger than I wear, just in case. I just hope they don't shrink when I wash them. THESE PANTS ARE SO COMFY AND LOOK AT THE GREAT TYE DYE DESIGN.